• The Link: "This was on my Facebook today, taken by a friend of a friend. Since the skies open up so fast and furious in Florida, there is probably a heart-shaped patch of dry ground, right below. 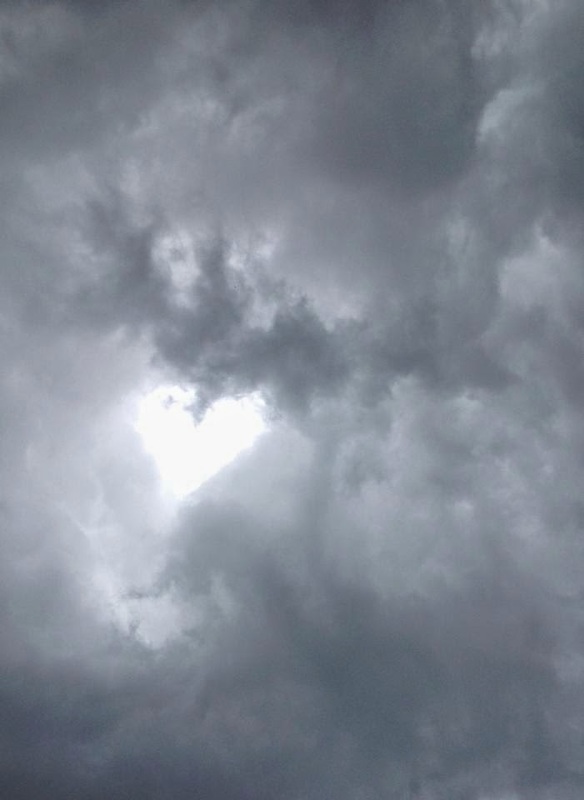 <3 ... Hilariously, it was posted to the Florida Cloud Appreciation Society—there's apparently also a face in the clouds, and the person who snapped it said this: 'I saw the face after I posted. I loved that the heart formed in less time than it took to aim the camera! Disappeared just as quickly."